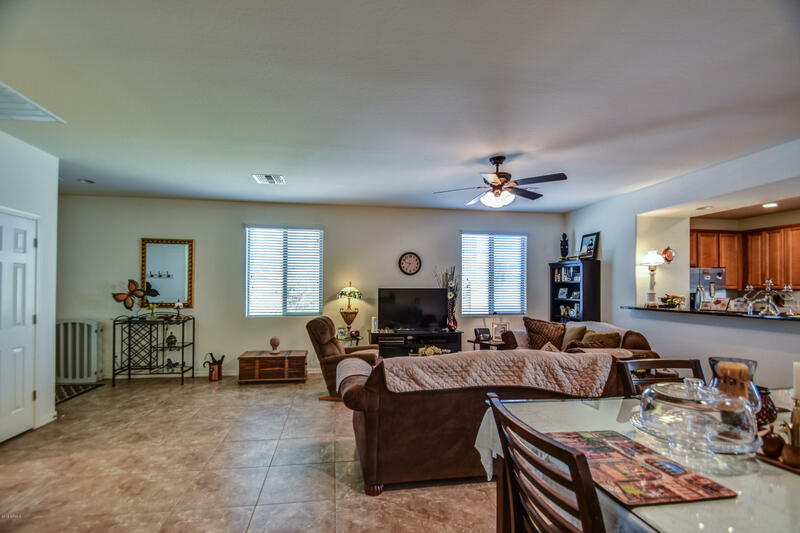 SPACIOUS ALMOST NEW HOME! 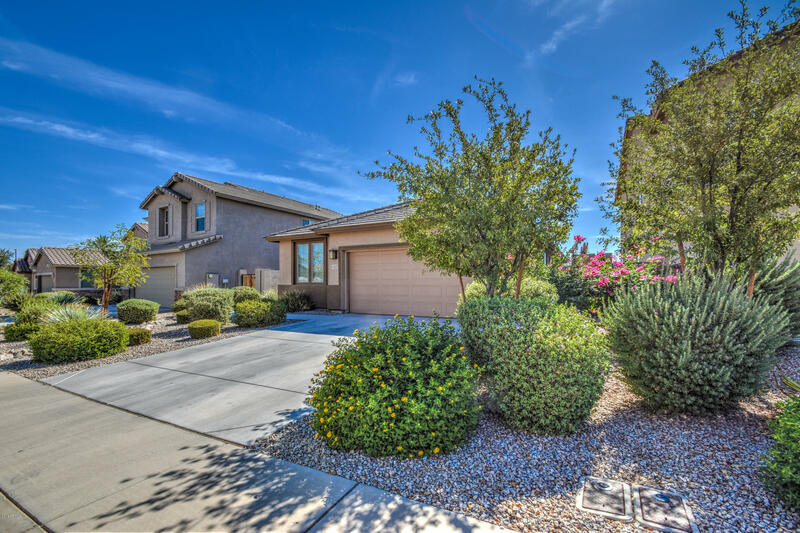 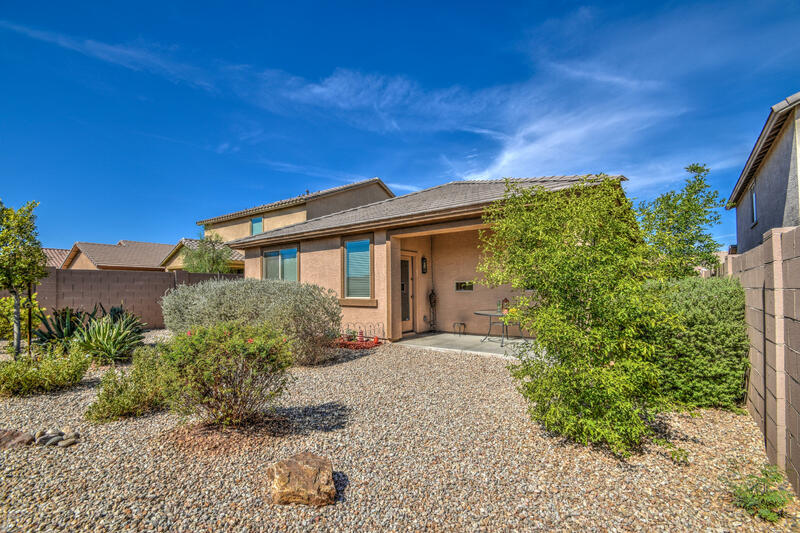 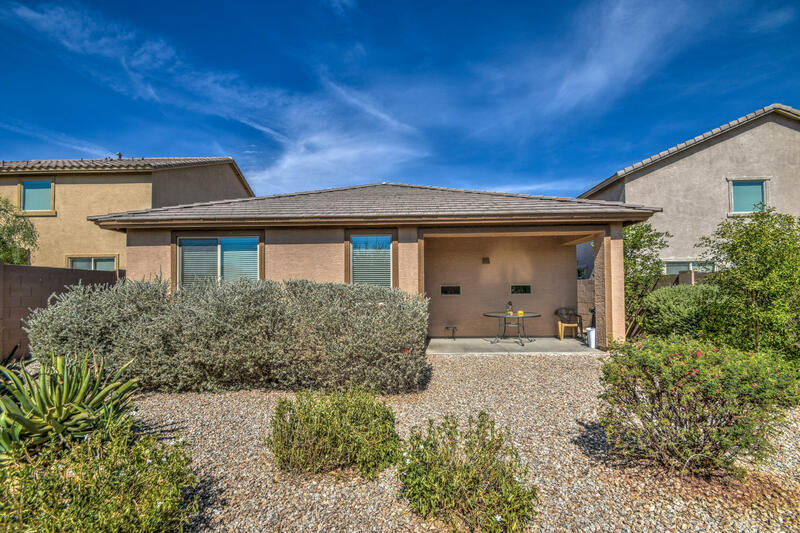 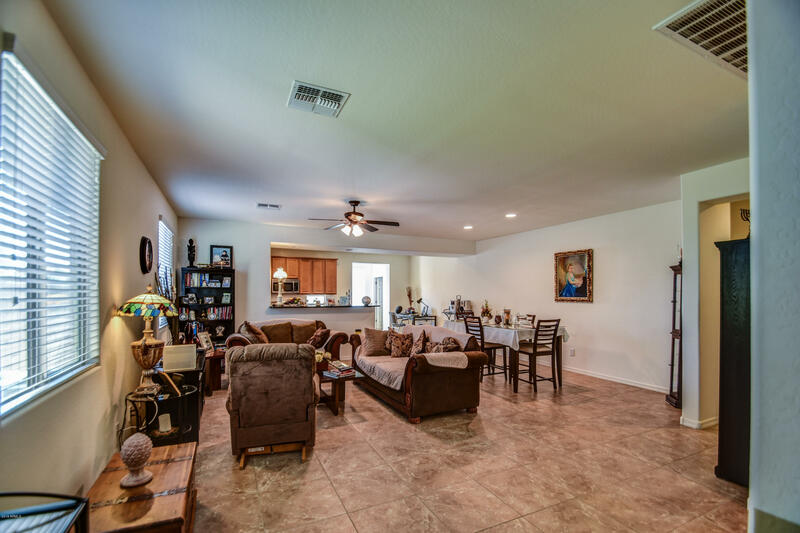 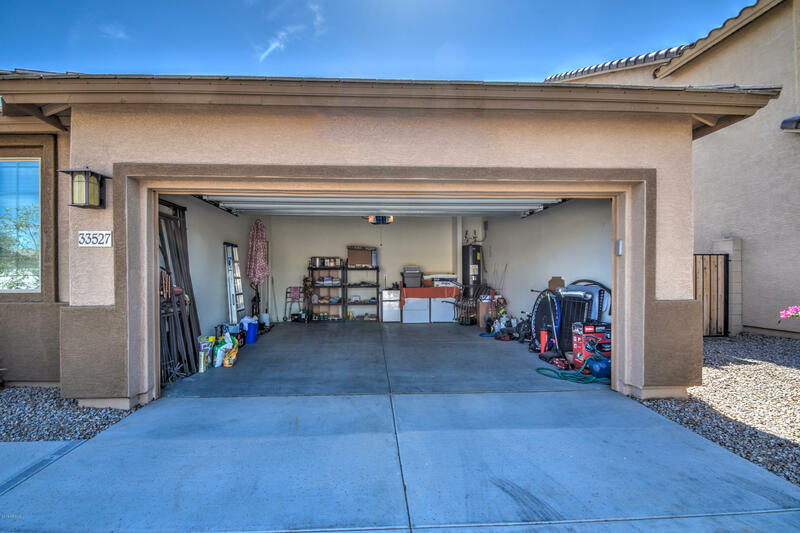 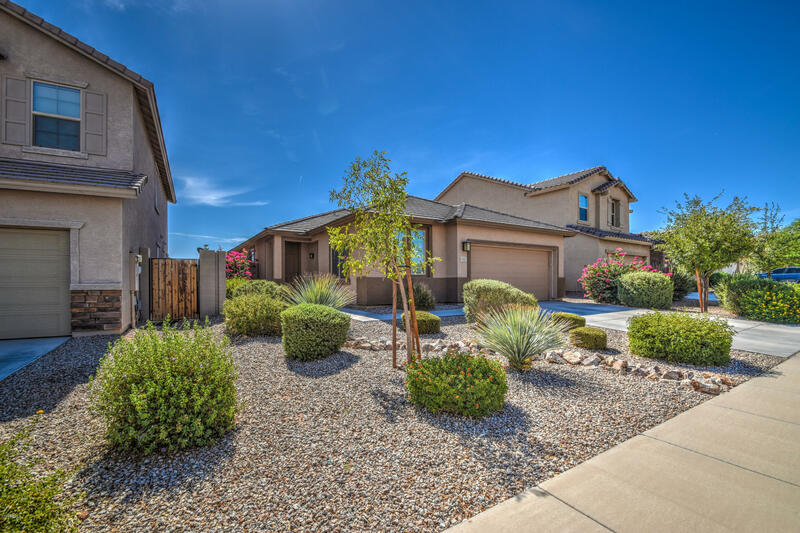 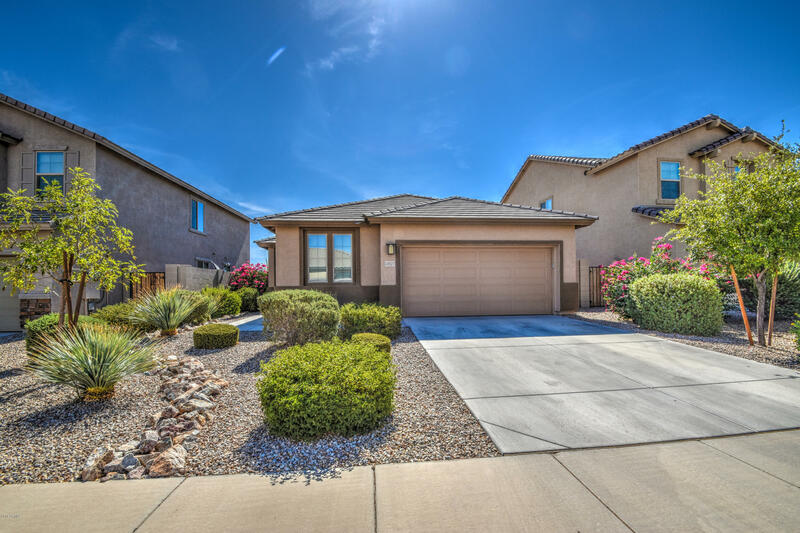 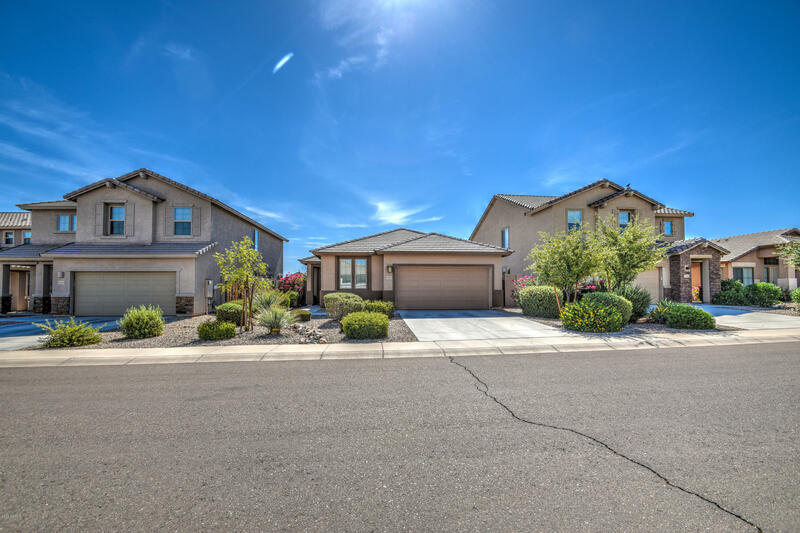 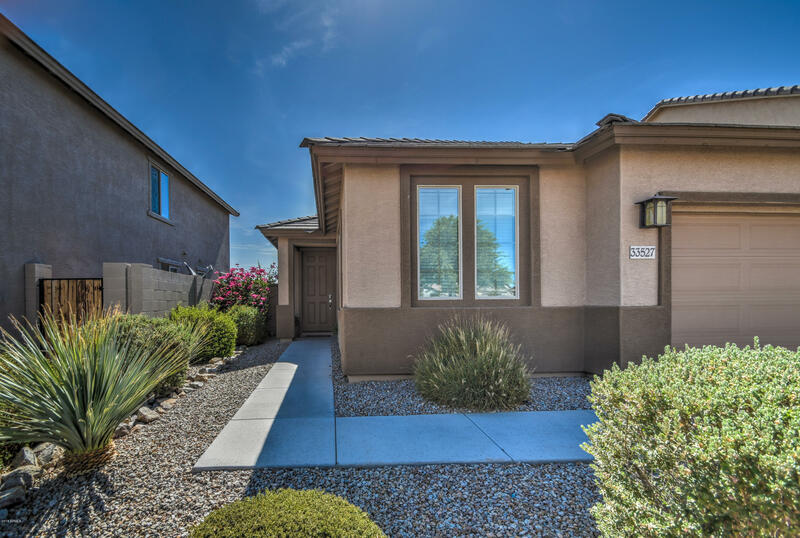 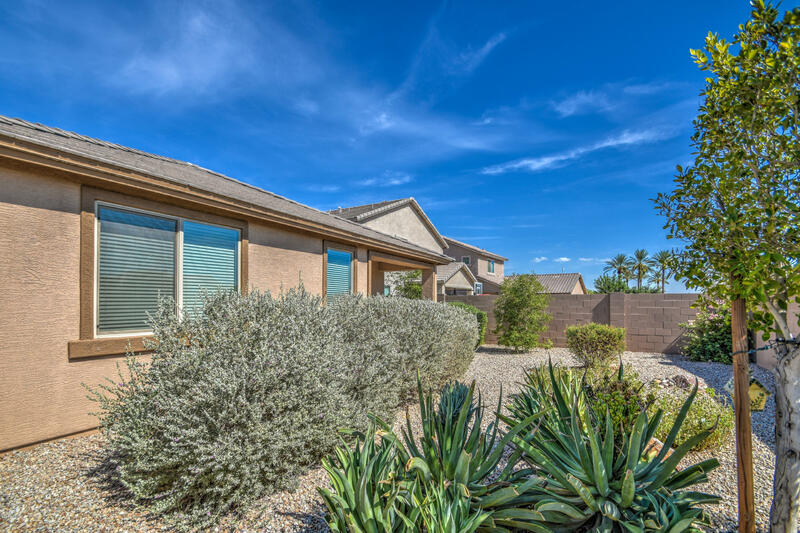 One level home in Skyline Ranch with split bedrooms. 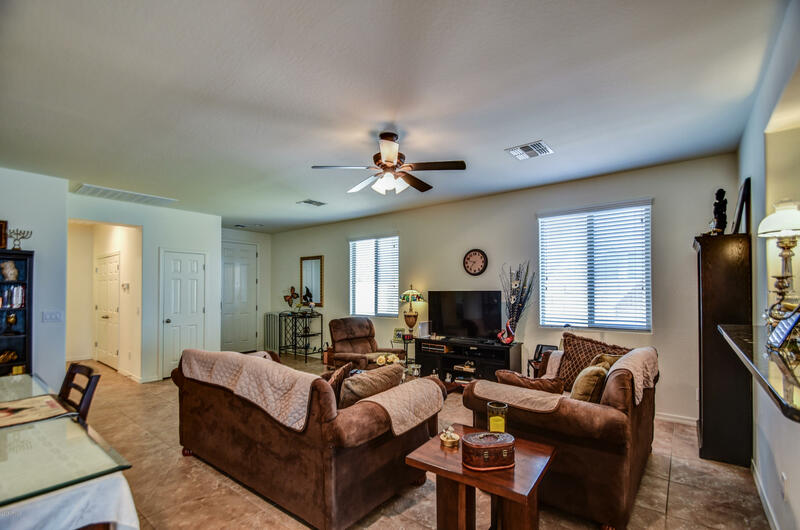 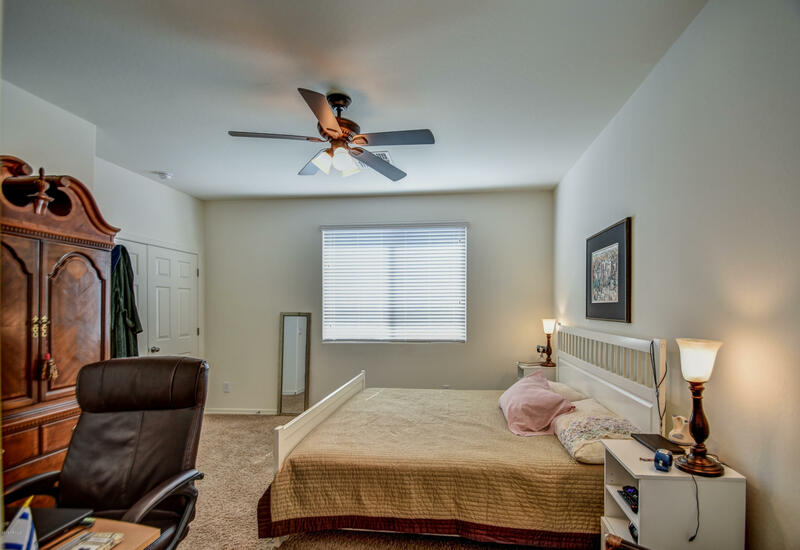 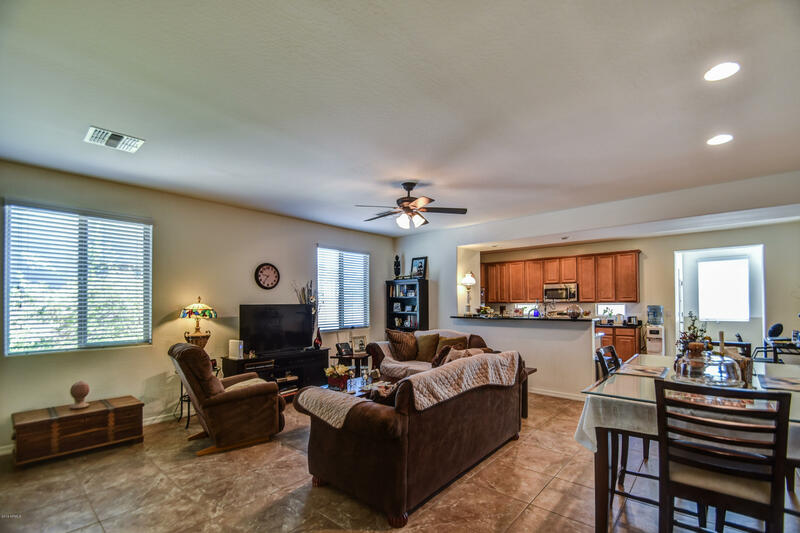 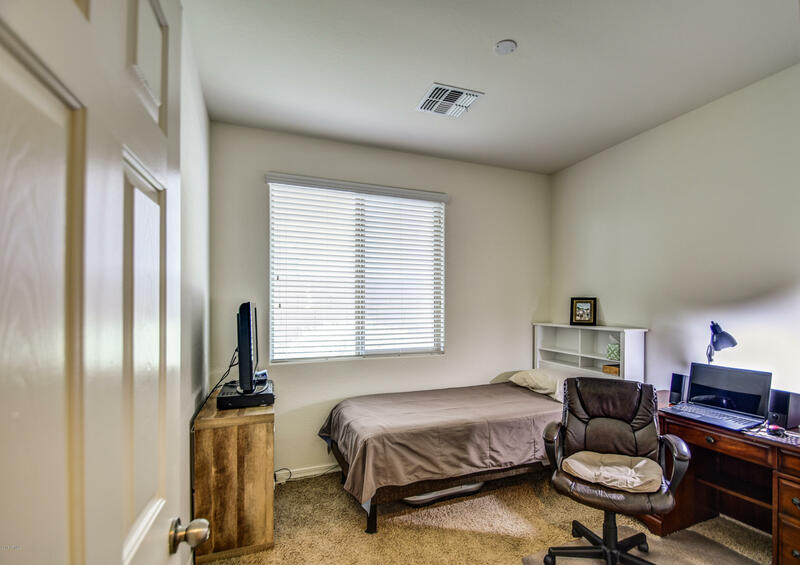 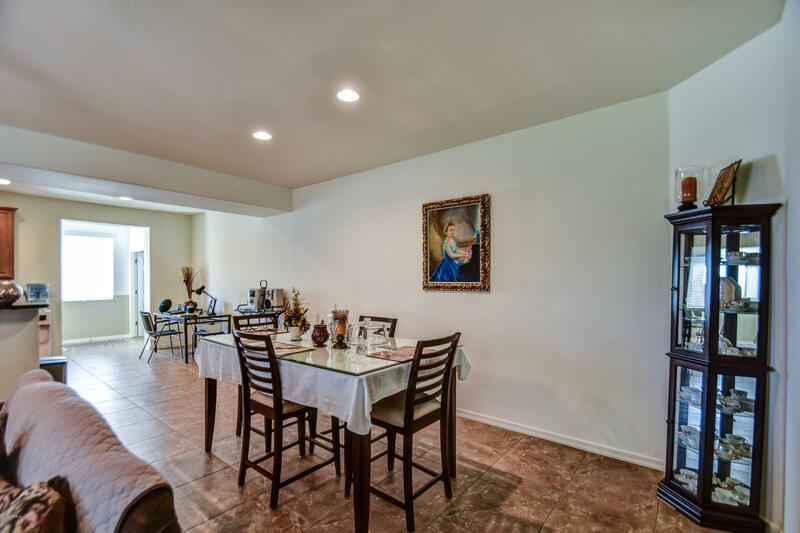 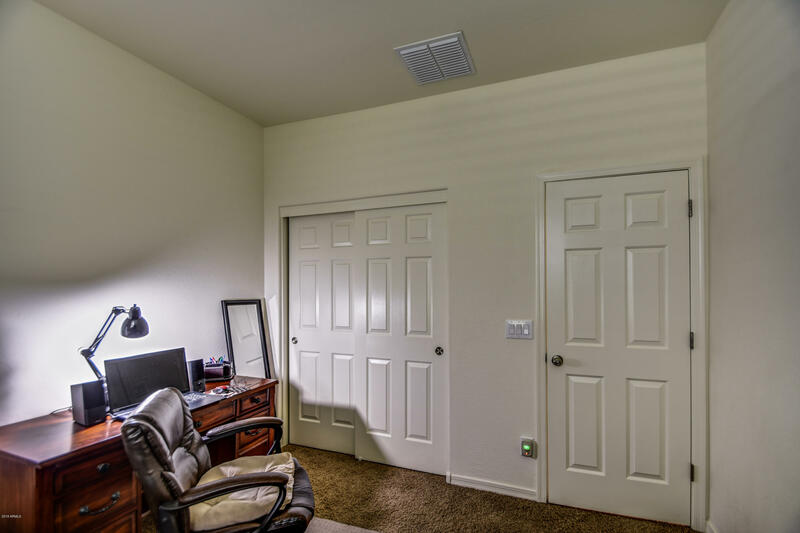 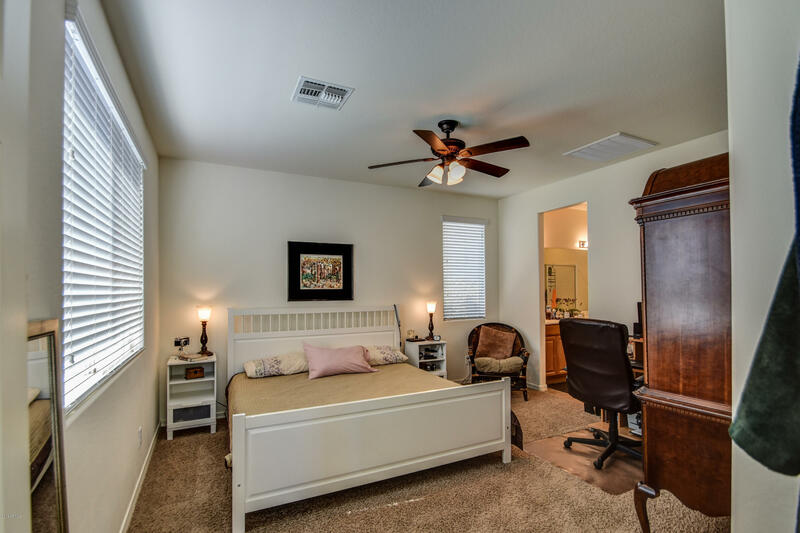 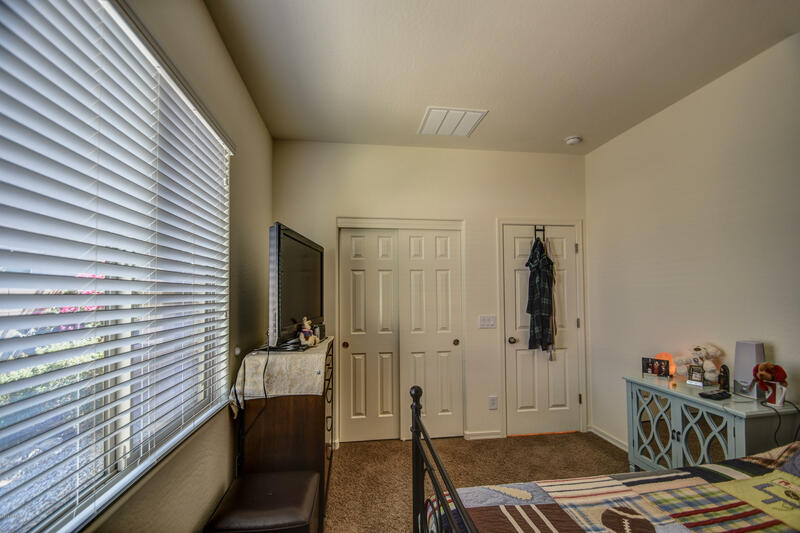 Home boasts 20'' neutral tile in all main areas, carpet only in bedrooms. 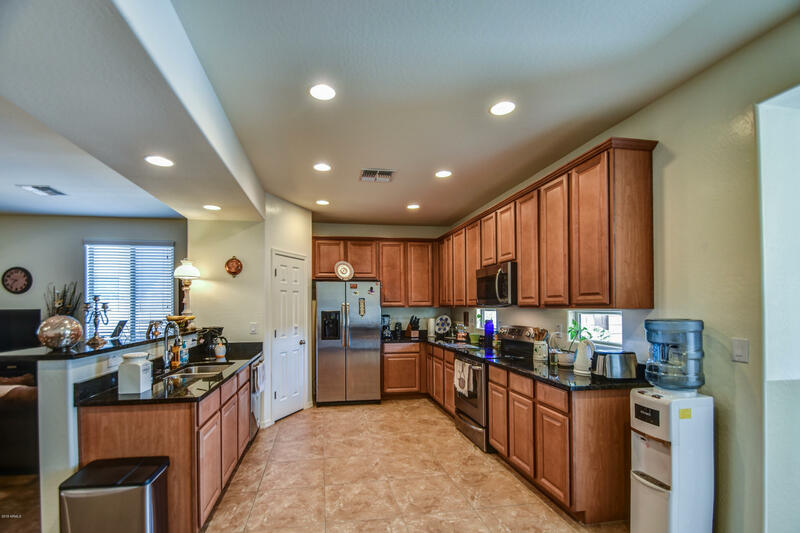 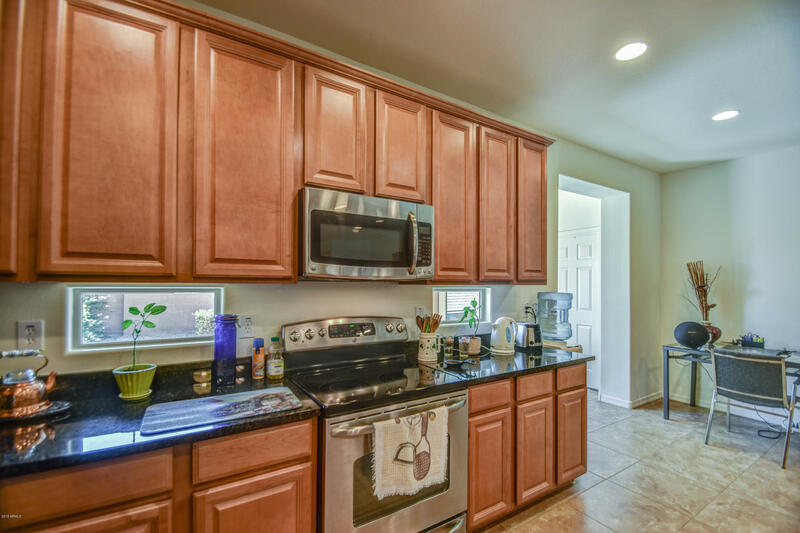 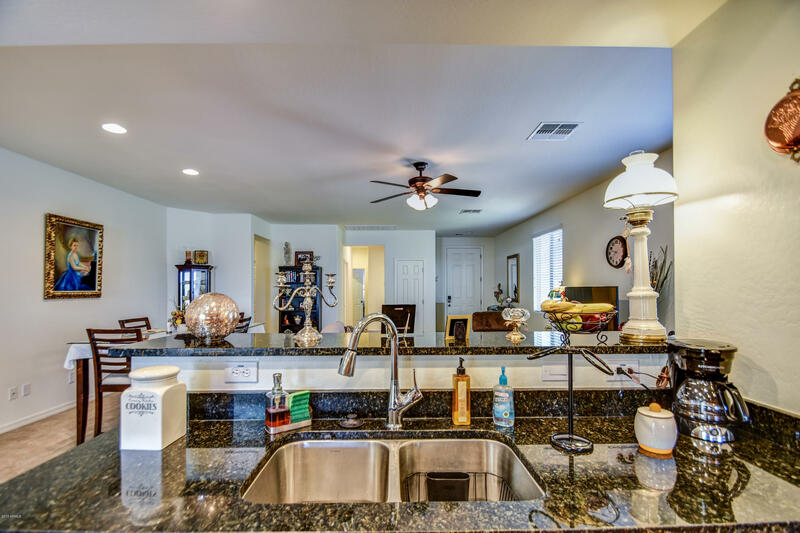 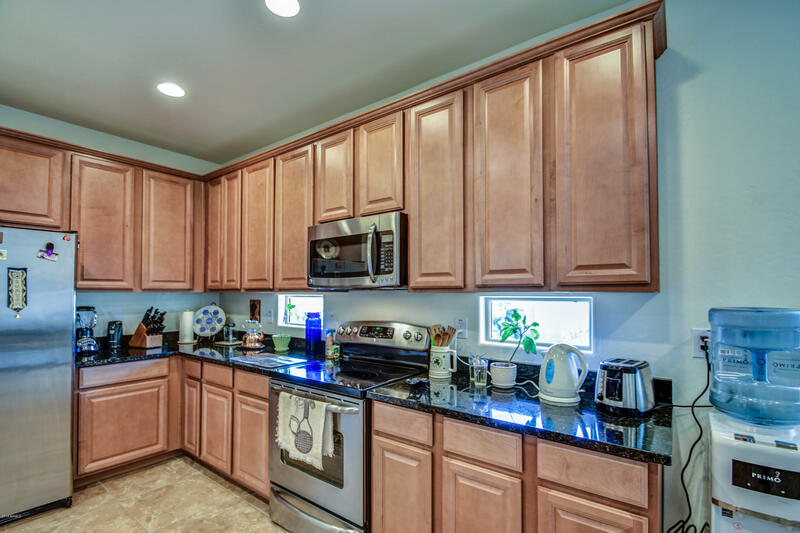 Huge kitchen with 42'' maple cabinets, can lights, stainless steel appliances, dark granite, electric range, pantry, breakfast bar & dine in kitchen. 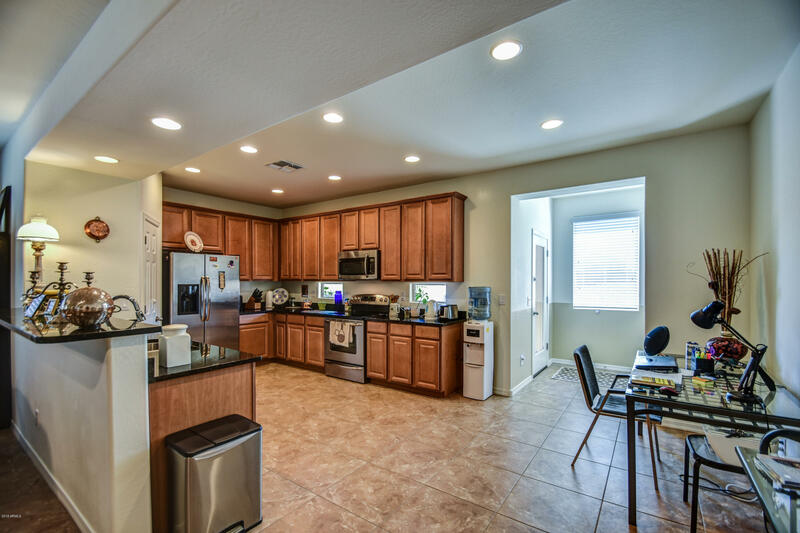 Kitchen opens to the large great room to include dining in living room/great room area as well. 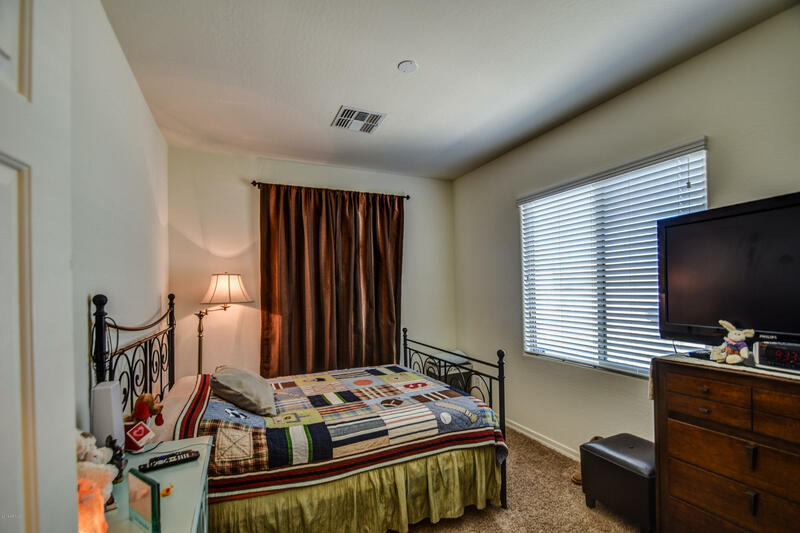 Enter the lovely master suite through double doors. 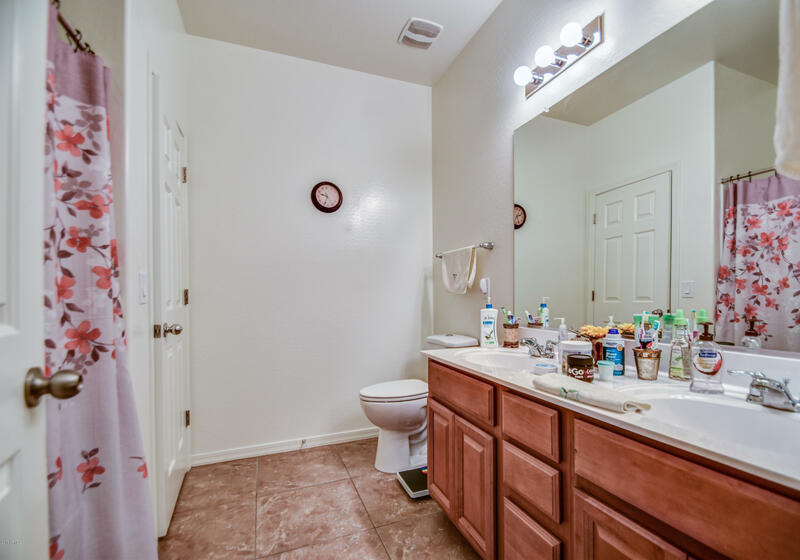 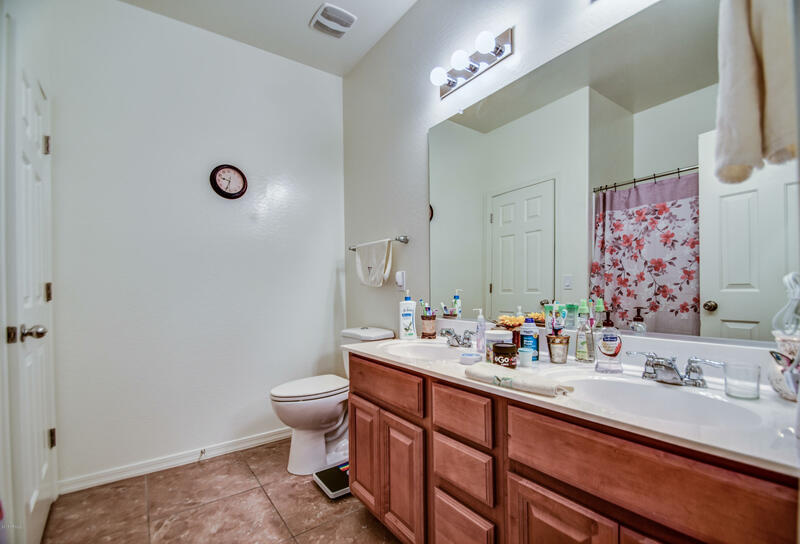 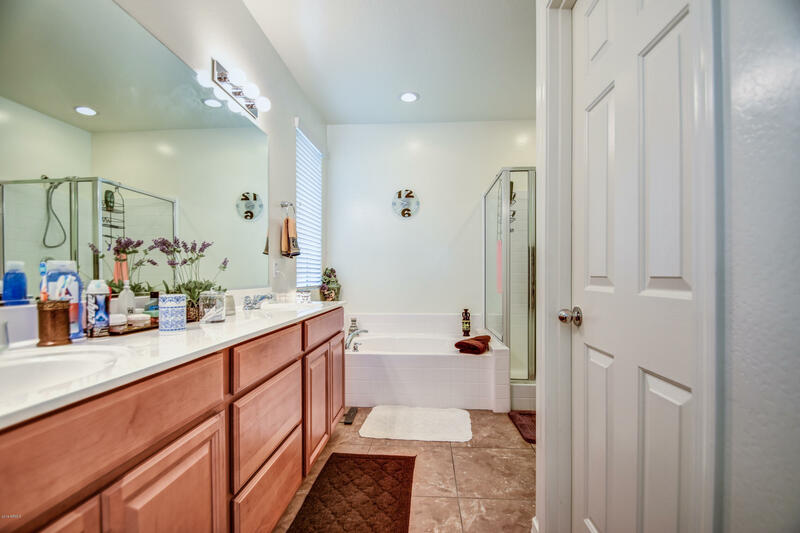 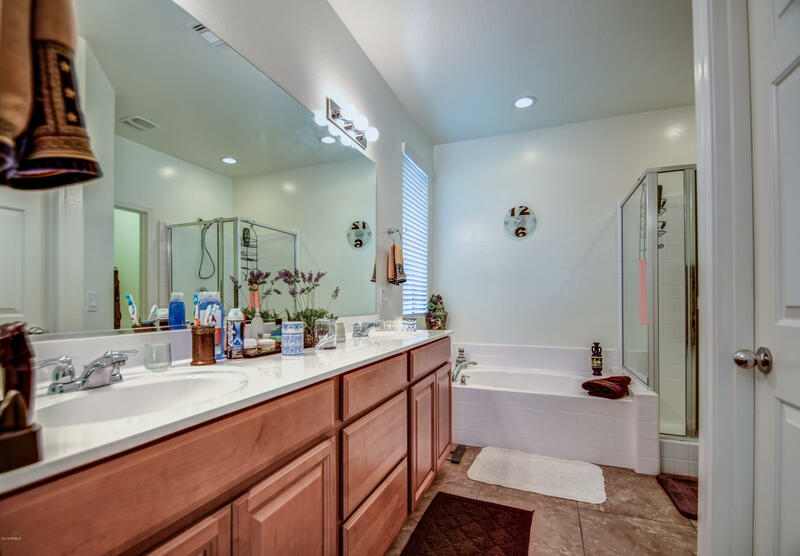 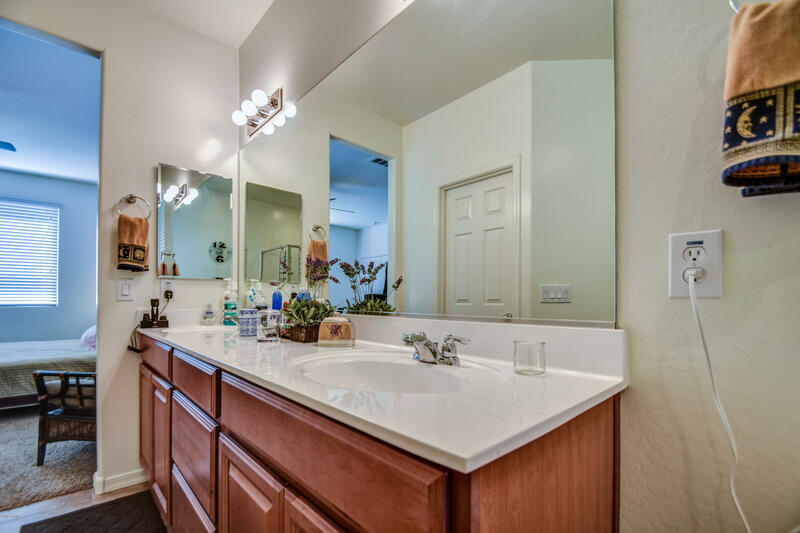 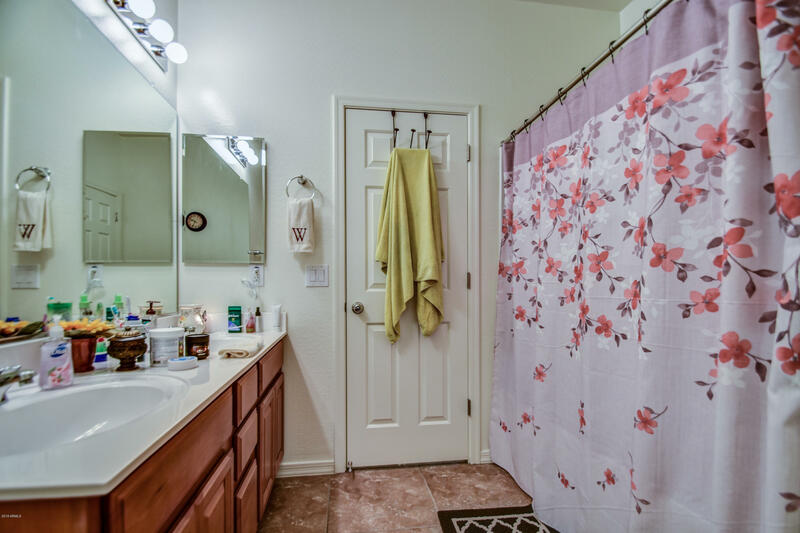 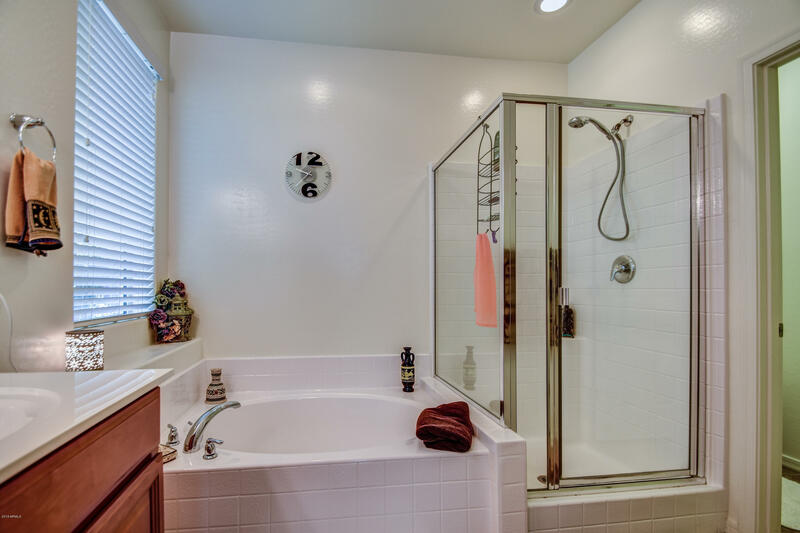 Master bath has double vanities, maple cabinets, separate shower & soaking tub, private toilet, & walk in closet. 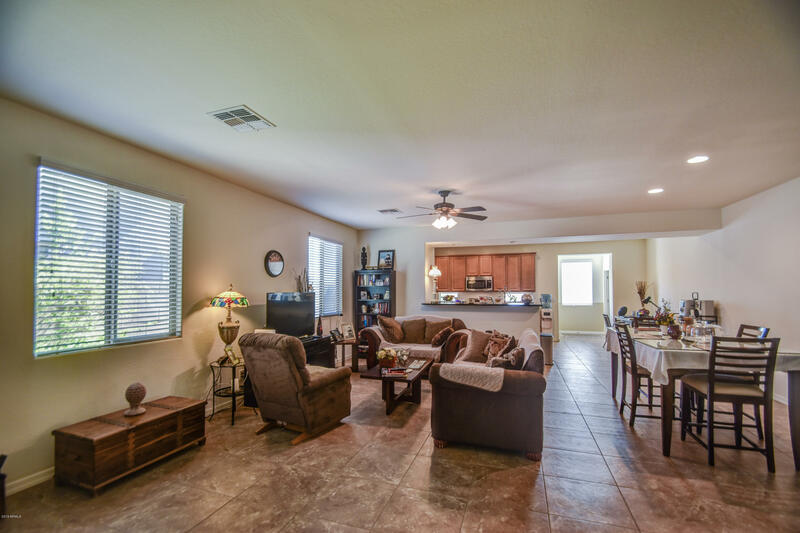 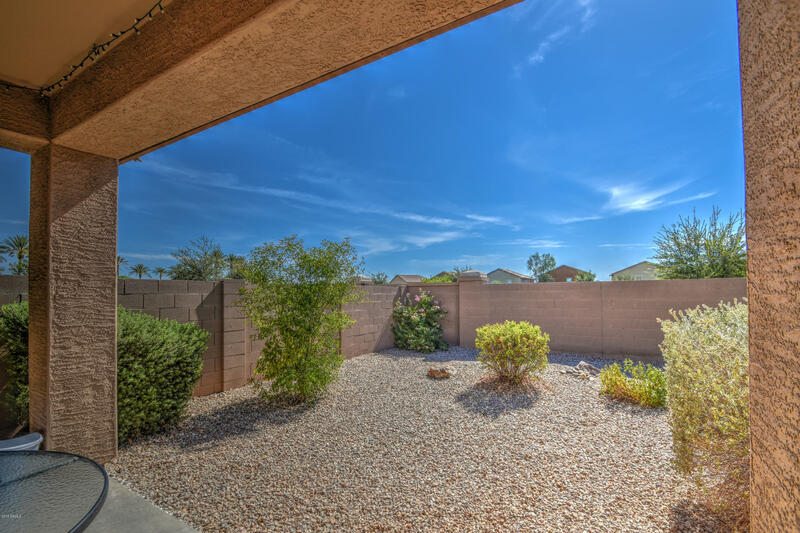 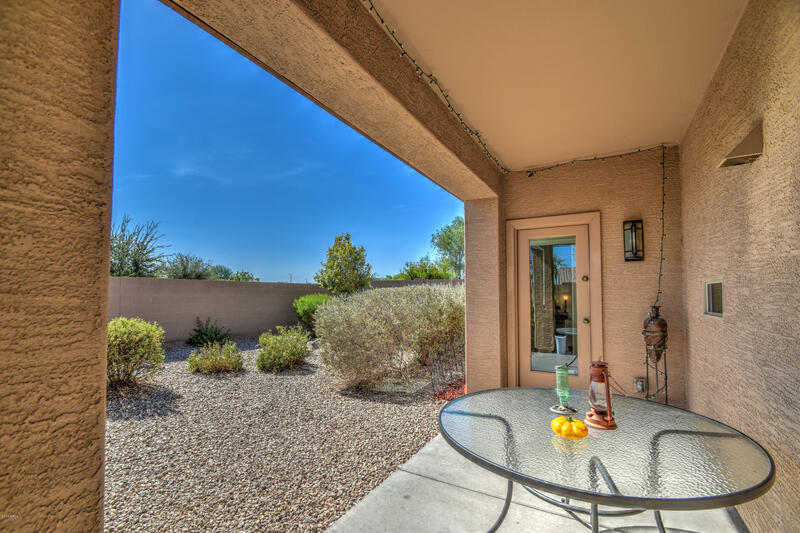 Beautiful covered rear patio with citrus trees, block fence, & no rear neighbors.